DIDI Dache, a mobile taxi-hailing application, will start offering carpooling services in first-tier cities including Shenzhen, according to a report in Shenzhen Economic Daily. The company has started recruiting car owners, who can receive a certain amount of subsidies after registering with a carpooling app called Shunfengche. Car owners can get a 50-yuan (US$8.15) subsidy after registration by putting in their name, ID number, car type and license plate number in addition to the routes they take between their office and home. 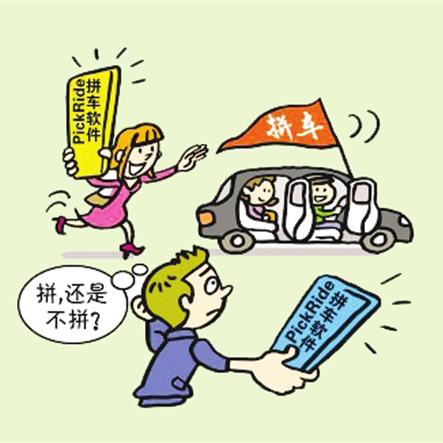 If a driver completes a carpooling transaction, he or she can receive a 100-yuan subsidy. They can get a subsidy of 20 yuan by recommending another car owner to register. Ride-sharing apps have had a troubled start, with regulators banning apps that earn revenue from drivers who do not hold commercial licenses. Yet that has not stopped them from attracting huge investment from Internet giants such as Tencent and Alibaba. Many enterprises have entered the business by developing ride-sharing apps, but they are generally on a small scale and in their initial stages. Only a few companies like Weiwei Pinche, AA Pinche and Ai Pinche have more than 10 million downloads. 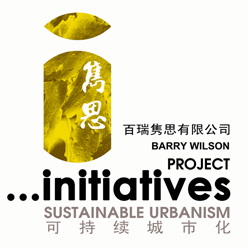 Paid carpooling is treated as a legal grey area in China. So far there is no clear definition as to what constitutes carpooling, which can be better for the environment since it takes cars off the road, but can also carry a fine of at least 30,000 yuan. Beijing officially recognized the carpooling business at the end of last year by issuing a regulation governing carpooling. 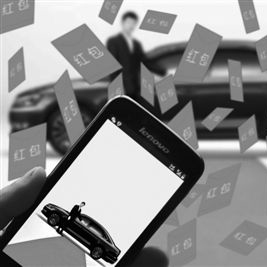 Established in June 2012, Didi Dache is one of two main taxi apps in China, with over 100 million users in more than 300 cities.